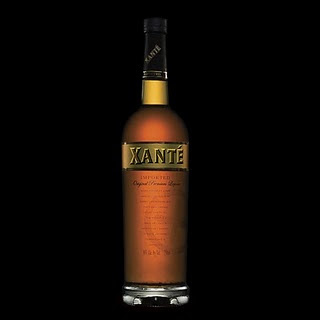 If you are looking for a new drink this summer, pick up a bottle of Xanté Liqueur. I had been introduced to Xanté back in April when I attended a "Women in the City" event, for the book signing of Why She Buys by Bridget Brennan and in collaboration with Dress For Success Worldwide. I was hooked on the Xanté Berry martinis. It's now one of my favorite martinis and I wanted to share the recipe for you so you can try it yourself the next time you need a drink or want to throw a party! Shake with ice and strain into a cocktail glass with a sugar coated rim. Muddle cucumber, add all ingredients and shake with ice. Strain into a highball glass and top with ginger ale. Garnish: Long strips of cucumber. You can find more drink recipes at drinkxante.com. Xanté is the intimate result of a ménage à trois between the finest French cognacs, the affection of French limousine oak with its touch of vanilla, the perfect penetration of pear and the slow, tender mating process which seals the great conception delivering a flavor and taste beyond all experience.